A Process Map is considered a "best practice" to developing Quality Management Systems (QMS), procedures or system of procedures. learn how to use them. Did you know that it is a “best practice” to create a process map for every procedure or system of procedures that you develop? And did you know that, like a table of contents, process mapping will create stronger communication and better understanding in your organization? Process maps are not required by the ISO 9001 standard. They are one way to satisfy requirement (4.1) to determine the process needed (4.1.a), the sequence and interaction (4.1.b), documents to ensure effective planning and control (4.2.1.d), and they are helpful to communicating responsibilities (5.5.1), internal communication (5.5.3), product realization planning (7.1), and monitoring and measuring (8.2.3). Process mapping is not required, but it is considered a “best practice” and is used by all advanced quality systems. How do you do use a process map? It’s important to identify your business’ core processes. Let’s take a further look at how to create a process map and see how it creates knowledge to benefit you and your organization. In other words, a process map details what happens first, second, and third in a process. It shows what happens in each step along the way, and it’s drawn in graphical form for easier communication and understanding. 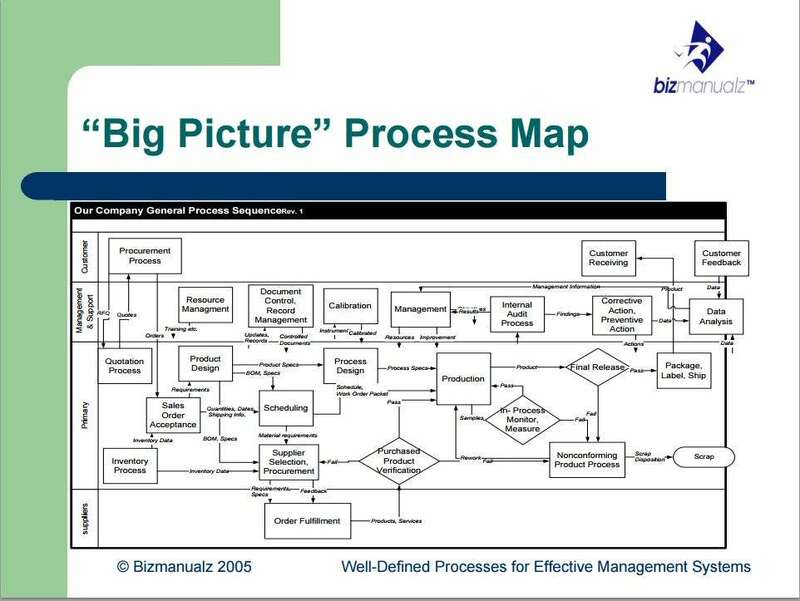 Let’s take a look at a “big picture” process map, taken from Bizmanualz How to Create Well-Defined Processes class. This type of map shows the “big picture” of ten to twenty core processes within the organization. The map also shows the critical elements within each section and its importance within the whole system. And these sections, or bands, are what relate the processes to each other AND to the outside suppliers and customers. 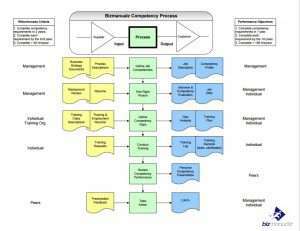 Although there are several ways to draw a process map, the basic diagram is typically constructed in four bands. And these four bands link together Customers, Primary Processes, Secondary Processes and Suppliers. You improve effectiveness by showing the specifics of a process. And sometimes we’ve learned the hard way that the development phase of a project or a process is far more expensive than the planning phase. And so by thinking through and perfecting your processes beforehand, you decrease waste in development time. With a detailed process map, you identify and decrease such waste wherever it occurs in the process. Now, let’s break down the process map even further. When you go to write your organization’s procedures, you need more detail. You’ll need a method to define the sequence of interactions of each step. And you do this with a procedure map. To the right, there is an example of a typical procedure map. 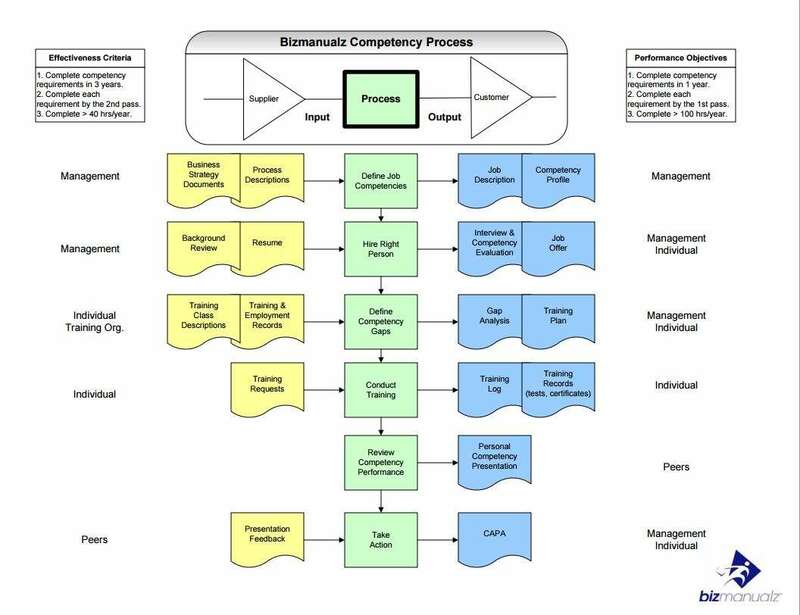 With this refined procedure map, you can see the steps that go into an organization’s competency process, including the suppliers and customers for each of those steps. This is also called the SIPOC method. Using this method identifies the Suppliers of the specific data used as an Input for the Process to create Outputs for the Customer. The map also gives you both effectiveness and performance criteria for this process’ owner(s). With such measurement criteria, you set the mark for continuous improvement of the process. And so by creating a procedure map, you will further increase communication and understanding within your organization. Procedure maps become a strong tool in training, either to familiarize new employees to their jobs or to increase efficiency and performance with current employees. 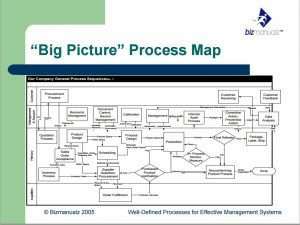 Both process and procedure maps are crucial in an organization. And so as a rule of thumb, never develop a procedure or system of procedures without first creating a process and procedure map. Acting like a table of contents, a process map helps organize the chapters of a complex book in a way that this knowledge can easily be communicated, understood and applied.